With the new BSNL Penta TPAD IS701R, India has registered another cheapest tablet in World. Now, Will BSNL Penta TPAD IS701R take cover Aakash tablet market in India ? This is the biggest doubt revolving in everyone’s mind now. Well, to be frank, The new BSNL Penta T-Pad IS701R will surely take over Aakash tablet in coming days. This new Penta Tablet will cost you Rs:3250/- may be this little expensive when compared with Aakash, But a lot better than other costly tabs. Penta will surely be a super success in coming days. Because many people who have already used the limited version of Aakash tablet are extremely disappointed with its performance. Already lakhs of people are waiting for Aakash tablet from months now. Still there is no proper response from Aakash developers and even from Government. So people in India will definitely buy BSNL Penta T-Pad for sure. 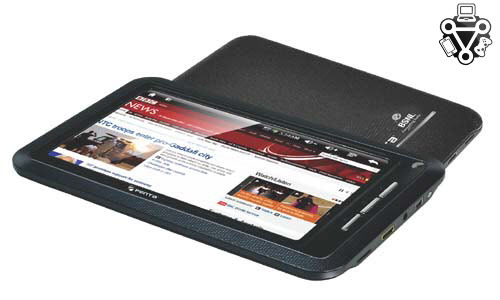 When compared to Aakash Tablet, BSNL Penta T-Pad is lot better in some areas. We will discuss about them in the below post. But first let me tell you that, this new tablet from BSNL will surely have a tremendous growth in Indian market. These BSNL Penta tablets were manufactured by Pantal, which is a Nodia based telecom company which has produced many products already. This Friday, BSNL has released 3 new Tablets in association with Pantal Company. One of the most attractive tablet which got everyone’s attentions was Penta T-Pad IS701R. This tablet was priced Rs:3250 without BSNL 2G plan and Rs: 3499 with BSNL 2G. This tablet will be available for anyone who will pre-book it in advance. We will mention the link below, so that you can pre-book your tablet. The delivery of Penta T-Pad IS701R will start from March 5th 2012. So, as soon as you book the tablet, it will delivered within 2 weeks time. You have to mention your complete details like Name, Phone, Address and Email .The team will get back to you as soon as possible and make the delivery of T-Pad IS701R. If you are one among those people who have been waiting for Aakash for months now, you can surely take a look at this product. This will really make you feel better than Aakash Tablet. Also i like the amazing strategy of our Indian government to produce competition between themselves. Giving no space to others, the both tablets are fighting each other to conquer the market. More over, Penta TPAD IS701R is a Powerful tablet with an amazing and affordable price of Rs:3250. It has Android 2.3 OS pre-installed into it. And a 7” resistive touch screen (TFT Display) with a 1GHz processor and inbuilt DDR II 256Mb RAM. The Penta TPAD IS701R can give you the best performance in the entry level category. You can control it with your single finger touch mode and browse the web wirelessly. Also you can enjoy media playback in your Penta TPAD IS701R. The built in 2GB memory can be expanded up to 32GB by using the on-board TF card slot. Apart from these above mentioned features, there are few other amazing features like. 1) You can browse the web, watch YouTube videos, check your mails and do a lot of other daily activities which you do in your PC. 2) The High speed 1GHz processor and DDR 2 RAM will pace up the apps very fast. 3) You can find a Integrated HDMI port to connect your LED/LCD TV. 4) It can play popular videos, music, and all types of photo formats. 5) You can download and install any Google android apps compatible with Android 2.3. 6) You can connect your TPAD IS701R to Internet wirelessly with High speed networking support (Wi-Fi 802.11 b/g) . 7) Its very easy access emails, MS -Office and Games in TPAD IS701R. 8 ) You can experience the power of social networking sites like Facebook and Twitter at your finger tips. 9) Seamless Digital media experience. 11) Rechargeable lithium polymer battery. Kobain Launches iXA Tablet in India for Rs 3,999 – UbiSlate 7C Rival ? If we take a look at the technical specifications of BSNL Penta TPAD IS701R , its quite interesting to know that even Aakash 2 has the same features. But the main difference is the service, proper response to people and delivering the product at right time. Just take a look at the screen shot given below. As you can see that there is no much difference between Aakash 2 and BSNL Penta TPAD IS701R, still you can find some like BSNL 2G connection and quick delivery of the product. Also Aakash had many problems with the battery life. But Penta TPAD IS701R is considered to be good at battery life and also the performance. Aakash 2 commercial version is Rs : 2999 where as Penta TPAD IS701R is just few hundreds more than Aakash 2. You can get your Penta TPAD IS701R for just Rs : 3250. Also their is a special launch offer with 3 month of data download free. Penta TPAD IS701R will be connect with a BSNL 2G Sim connection as a bundled special Penta data plan. If the customer uses this special plan of Penta 2G plan for 12months, he can recover the entire cost of the tablet, making it free for the user. You can pre-book your Penta TPAD IS701R in the official site of Pantal company. You have to just enter your genuine details to get the tab deliverd to your home withing 10 days. Take a look at the screenshot below to see how it look after finishing the pre-booking of Penta TPAD IS701R. To pre-book your Penta TPAD IS701R, you can just click here : Pre-book Penta TPAD IS701R without BSNL 2G (Rs : 3250) and click the below link if want to pre-book Pre-book Penta TPAD IS701R with BSNL 2G (Rs : 3499) . I am very confident that Aakash market will be soon collapsed with BSNL Penta TPAD IS701R. How the customars can surf internet without wifi network or 3g dongle? And is there any video call fecility? Can i connect my nokia c2-01 to surf web via my sim? Plz reply .. Take care. Hey Satish can I use nokia as a modem for that bsnl 3250 tablet? wot is the diff. bw bsnl with 2G and without 2G???? bsnl with 2G means you will get a BSNL 2G sim with your penta tablet along with a 3 month unlimited subscription. Hi I am Manosh, I want to know except BSNL any other sim will be acceptable, and is there any bluetooth facility? Please reply me. Hi, I Anil , want to know except BSNL any other 2G/ 3G-sim will be acceptable, and is there any bluetooth facility and is there back side camera is how much MP ? Please reply me. akash 2 has 700 mhz written on their official website. According to me Cortex A8 is more Advanced than ARM11 IMAP210. so even through with less frequency that is 700Mhz(Of AaKASH) than 1Ghz of BSNL Penta i will go for AaKASH. Just Don’t Look for MHZ or GHZ but see what it support and which one is advanced. Because Product get changed in no time. suppose if there is 3.0Ghz dual core and 2.6Ghz i3 processor, today and tommorrow i3 supports lots of apps than dual core will do in future also. so i will go for i3 processor(2.6Ghz). in bsnl it is used with dongle. I agree with HDMI port in akash 2 it doesn’t have, that doesn’t mean it can’t support 1080p,760p video. But there are no inbuilt camera, bluetooth, g-sensor. So what will b gud 2 buy? Whn they deliverd march pre book tablets.n hw to payment. Every product is having some drawbacks that I agree but it is the worth in good price. Normally indian spends so much rupee here & there but if they save 10 rupees a day then I think they can gift their goodones at their birthday in next coming year. According to me i think if pantel can manage their customer service like seagate & western digital then nobody can defeat them in this price range.once they covered huge market then they can satisfy their customer with the better version aswell. So Good luck pantel & keep going. Ghanta KE Aakash TAB nahi mel raha hai ab kat or dusara book kar loo…………………………Patna Tab……taki 2014 tak 2no mil jaayege. HA ha ha ha ha …………………………… he koyee jawaab. Hi, plz mujhe bsnl tab ki or detail chahiye. Can we use any other simcard in this BSNL tab ? Give me some details. can i use another SIM in T-PAD…. WHEN WILL AKASH BSNL PENTA TABLEL WILL BE DELIVERED ? hey could you plss tell me how much time it would take to deliever in uttrakhand cities..
sir, i want to know t pad is 701 R supports 2g sim functionlity. 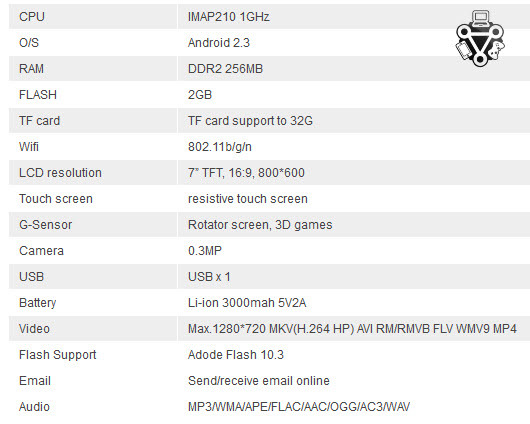 ok abuot the technical specs.how long would the tablets work.atleast 3 years……. Hmm,i think to get a look in BSNL penta,even already i’ve booked akash 2,nd waiting for a month..
i’ve a question here,….’can i use other connection to use data plan except BSNL sim? nd does it suppourt 3G lounge vic 3G divice or modem? Does it support universal sim cards? did u get ur Bsnl Penta Tablet? if u got put ur reviews! I HAVE ALREADY BOOKED ON 26TH JANUARY…. Friends leave both of these…go for vee dee direct tablet..though it will cost you 7000 bt it supports android 4.0 ice cream sandwich…it has capacitive screen,dual cameras on both sides,not only that it also contains usb and hdmi port…it’s awesome…with 1.5 ghz processor…and 512 mb ram…wat else you need..i am sure you will love that…!! No navas hardware can’t be upgraded so ram can’t can’t be upgraded…so think twice before you buy…:)..gud luck..!! Friends some phones are sim locked…ut means we have to use that sim only…you can take the case of reliance tab which is reliance sim locked..it means we can only reliance sim on that tablet…so check it out whether bsnl penta is sim locked or not…!! About 1p/sec being deducted even while cailnlg linked’ landline number I went through the route of first making complaint on 1503 which incidentally is useless customer service. Moreover you have to wait for ever just to talk to customer service rep. Anyway, I personally went to my exchange (Karve Road, Pune exchange) where I had purchased the Pyari Jodi connection. I learnt that Pyari Jodi indeed becomes Pyari Jodi only after all the details are entered in the system. This is different than the mobile connection getting activated. Some times it can take upto 2-3 days for the information to be uploaded on the BSNL servers. So my advice to any new Pyari Jodi customer is to wait for 2-3 days before cailnlg your linked landline. Also, initially as a trial, call for short duration and check balance using *112# and then using 1 as reply to the next screen that comes up. Is there any SIM Card slot in Penta T-Pad IS701R ? Kya Penta T-Pad IS701R mein SIM CARD slot hai.? I have got my BSNL tablet(T-PAD IS701 R) delivery. I have paid Rs.3499 for that but I have not got BSNL 2G SIM with t-pad, when it will be delivered to me and how will I activate the sim. 2nd thing, my T-PAD is not connected with my computer, as I want to transfer some snaps or songs from computer to T-PAD. 3rd, sometimes T-PAD is not start properly, it seems restart again and again. Kindly suggest me what is the problem & how it be solved. Can u please tel, what was ur booking id?? it is nt 2g supported…. How can i take the advantage of the internet plan given in bsnl tpad directly if there is no sim card slot in it? Or is there a sim card slot in it? I recieved a mail from pantel to pay deposit my booking amount which is aprox. 3650 INR including data plan, shipping n pnb transaction charges. Hey Frinds, i bought the Penta T-Pad IS701R 4 days before, from the local market… in 3450/- INR. Pls Make in mind that BSNL is not selling this tab. just a bsnl brand logo, and a data plan is provided. as i had used many tab. processor is quit good, games run good, and batter is almost good, works for 4 hours in 3g and wifi on. supports all kinds of HD movies, and movie formatt, AVI, MKV. DAT etc etc. so its fun to watch movie without converting it. 1. only one micro usb provided, and thats only the charging port too, so you cant run 3g dongles while charging. i had used micromax funbook. and its really better that it. i’m planning to buy micromax fun book, does it has sim or phone facility? hi all of you i have purchased this tab its so so because it can’t be put with computer ans sound is slow but nice with this price. Hi all …. can u tell me, this Penta T-Pad supports phone fecility? means, can i make calls with this tab ??? Please make available one piece of BSNL T-PAD tablet valuing Rs.3250/- duly supported all complete features on cash on deleivery basis. Can i put another sim card in this tab? Recently i have buy Bsnl Tablet(T-Pad IS 701R, Serial No-701R1912-0000006367)on the first day i faced many problems like WIFI is not working, not pick the 4 GB memory card or it shows only 128 ram but on the specification RAM is 256 MB. So do the needful to solve this problem ASAP or replace my Tablet because my tablet is hanged every time when i tried to open any game or application. h3lo sir, can you tell me that it is really good for me to buy penta T PAD worth rs .3250.can we make phone calls on it.i read various comments and i think that there are many problems with this product.please sir help me. H3lo sir, can you suggest me that it is really good to take penta Tpad with worth Rs.3250. Can we insert sim on that tablet. I HAVE JUST ORDERED A UBISLET7+ TABLET WORTH RS. 2999INR.IS THIS REALLY AWESOME THAN BSNL TABLETS AND AAKASH ?? Can I put another sim card except BSNL in my bsnl tpad is701r? I bought BSNL Penta-IS701R,unfortunately the following problems facing on that tab. 2. No modem (as per Penta List provided) connected. 5. Recently its hanged at the time of booting and its useless now…. i booked akash tablet on 16 december. but till today dont sufficient answer from ur company. now this tablet latest version should be want to me. I hear that penta 701 has a bad wifi connectivity and low battery life. Is that right. I just bought penta IS701R tablet it is working fine but the problem is that it is not getting install any application. It shows the application in app manager but when it install in the end it always show failed to install. No application till now have been installed. i stay in hyderabad..does it really work…!! is there any offer of BSNL PENTA to the government workers children???? I buy it from ebay. how can i use bsnl data connection. Bad news for all of us that we have to spend 3499 Indian Rupees instead of 2999 INR to buy Aakash Tablet. But good news is that after a long time , the delivery of Aakash Tablet finally started. I was purchase Penta model # IS701C, 0801206004358, SN 1291220401965 from Samina Telecom, Chowrongee Market, Kolkatta, India. I’ve lock my pc tab by using finger touch & now can’t open it. I’ve already forgotten to open through finger touch. Please help or advice me how to open my pc tab.